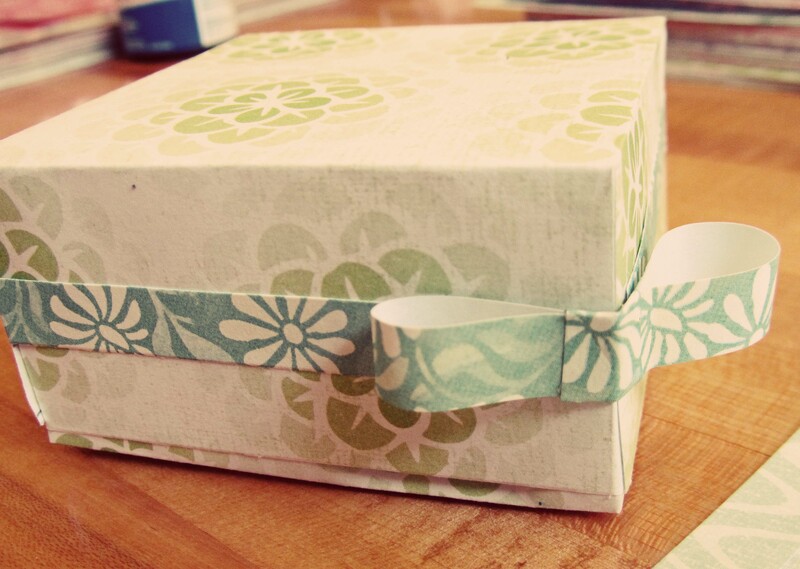 I love treasure boxes, and I promise, you will treasure these. 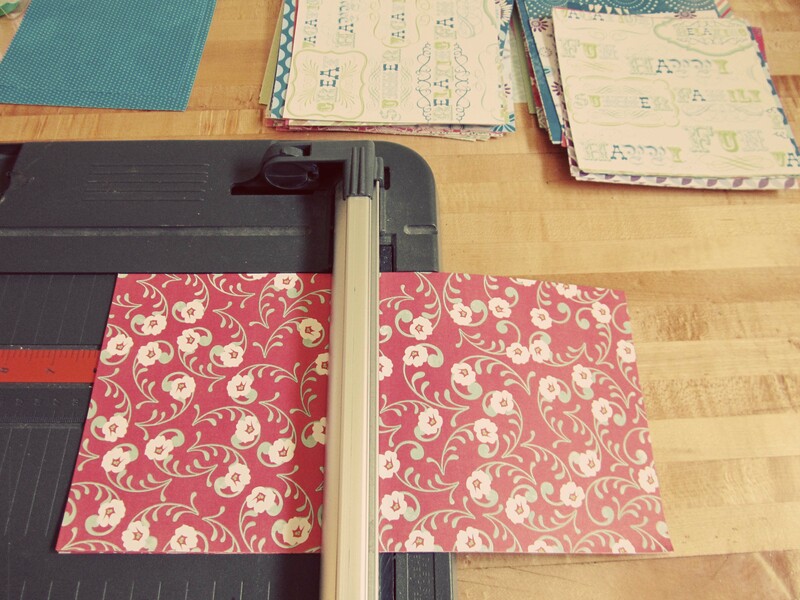 First, gather your supplies: paper (plain or printed), pencil, scissors, paper-cutter, and double stick tape or rubber cement. 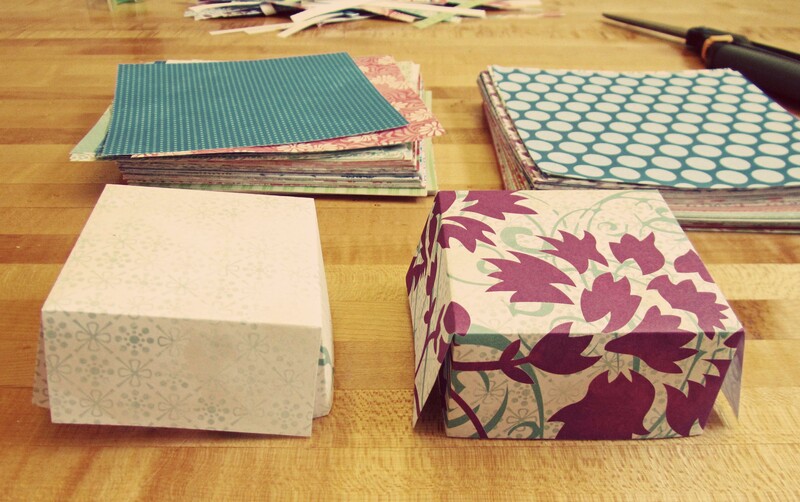 Next, cut your paper into 6 inch squares. 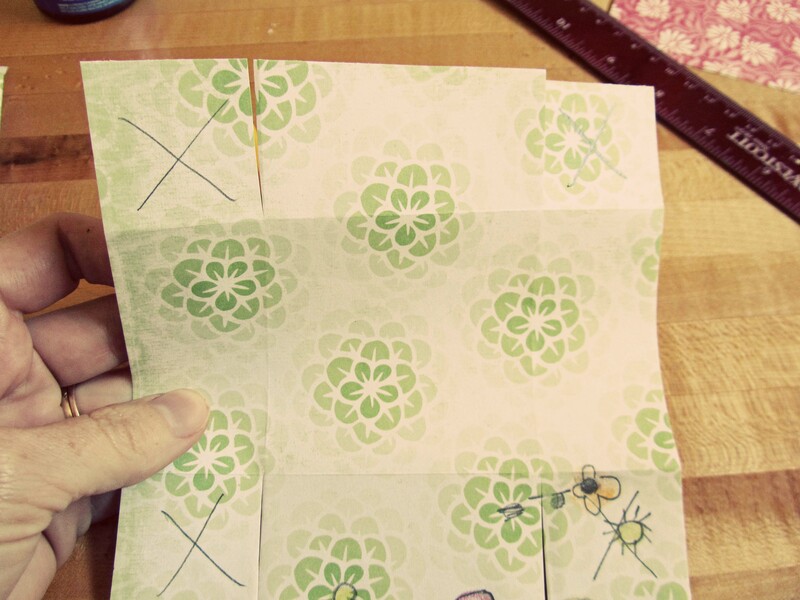 You want to make the bottom of the treasure box a little smaller, so cut off 3/10 of an inch off each side of the square that you will use for the bottom of the treasure box. You now have two squares. 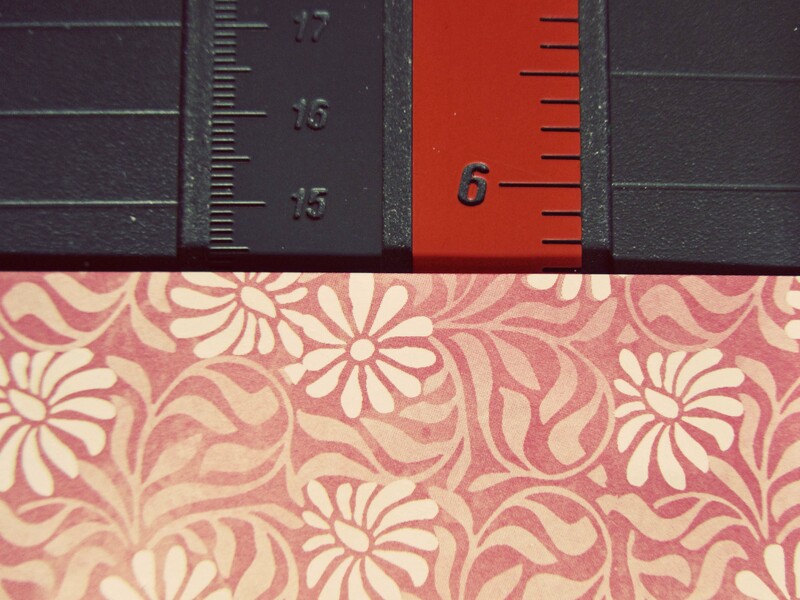 One square is slightly smaller than 6 inches. You now need to find the center of each square. Do this on the back side. 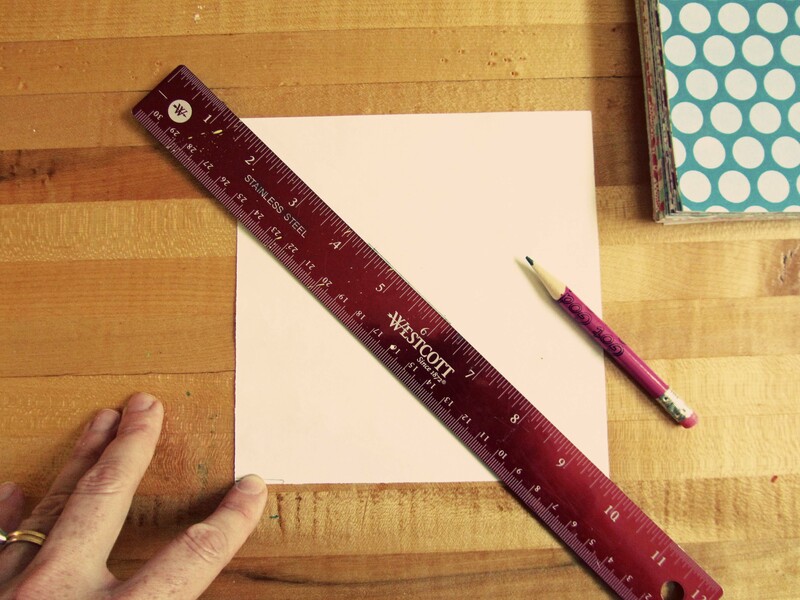 Take your pencil and ruler, and lay the ruler diagonal across the square from corner to corner. 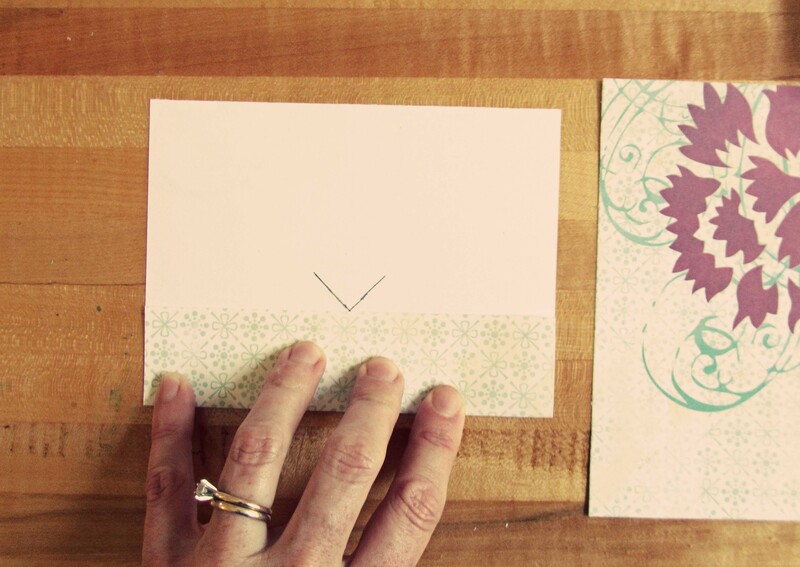 Make a light mark towards the middle with your pencil. 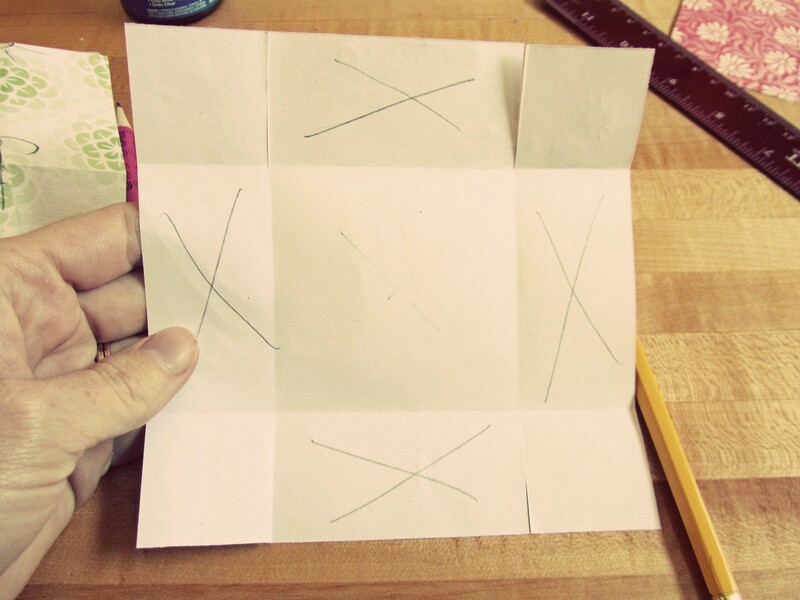 Repeat this step using the opposite corners, so that you have an X at the exact center of your square. You will need to repeat these steps on both squares (the one for the top, and the one for the bottom.) 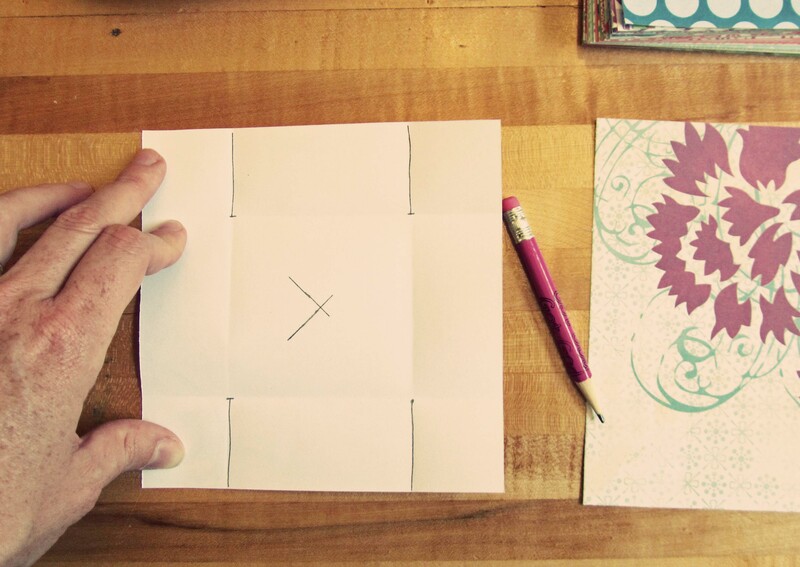 Fold the bottom of the paper up to meet the center of the box. Now you need to cut the sides of both the top and bottom of the box. 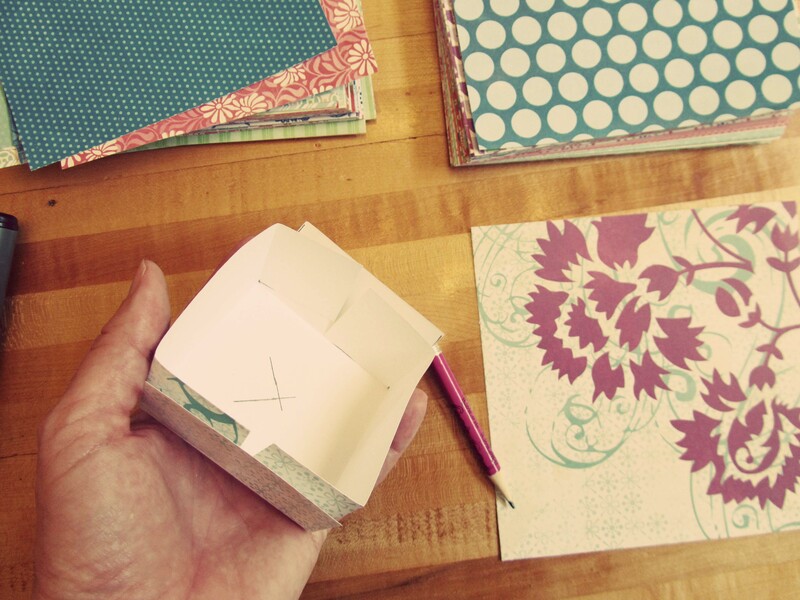 Do this on both squares–the top and bottom of the box. 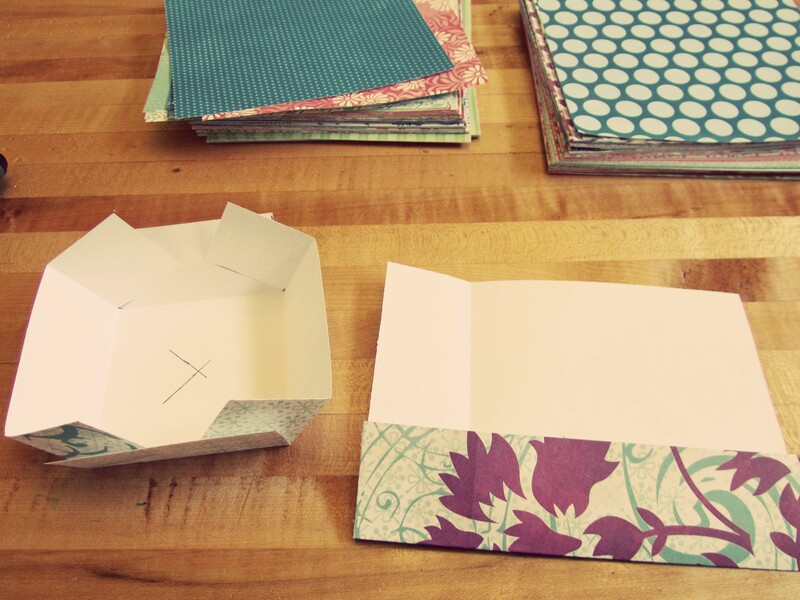 Fold the side to make a box. 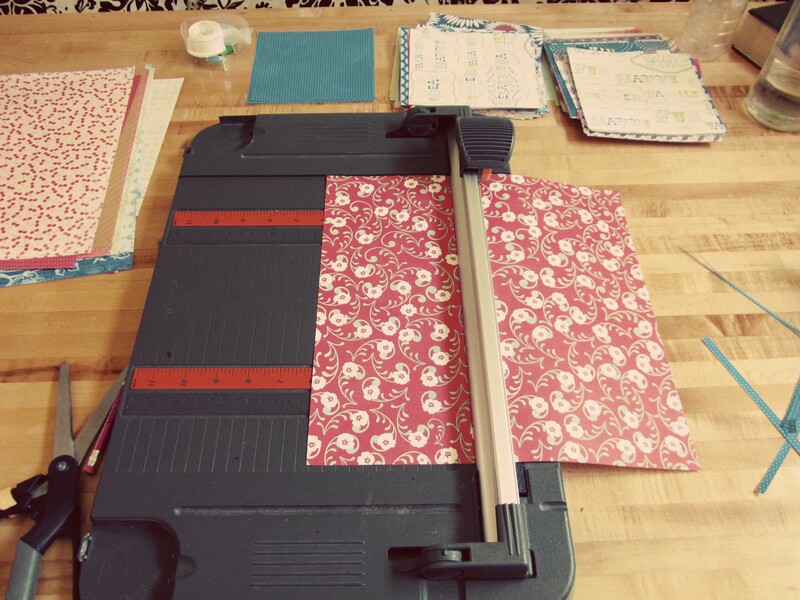 You can use double-sided tape to secure the sides, or you can use rubber cement. If you decide to use rubber cement, I will share a secret with you. The best adhesive (and the easiest) is to apply rubber cement to both surfaces you wish to join, and then let both surfaces dry before joining them. It is less messy, and the “stick” is stronger. You just have to have a little patience. Here I have marked the areas which need rubber cement applied. 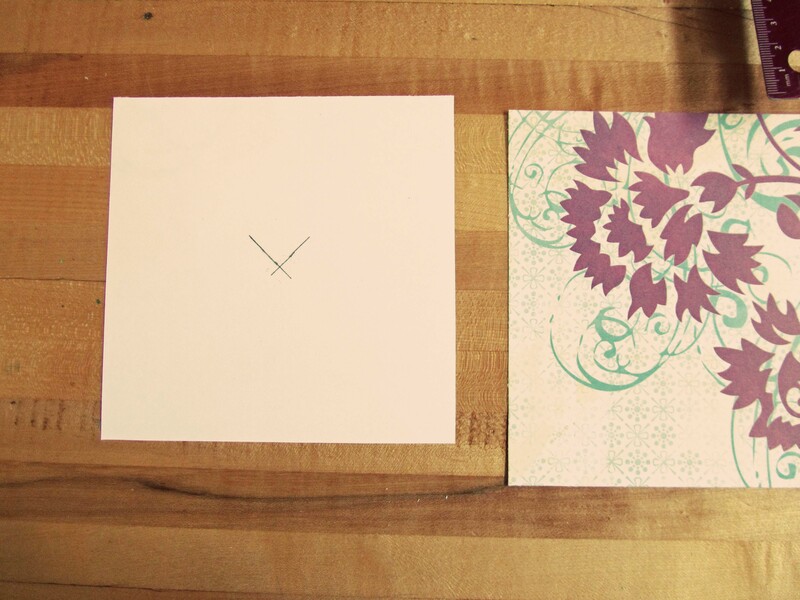 You will have to apply rubber cement to both the front and back of each square. 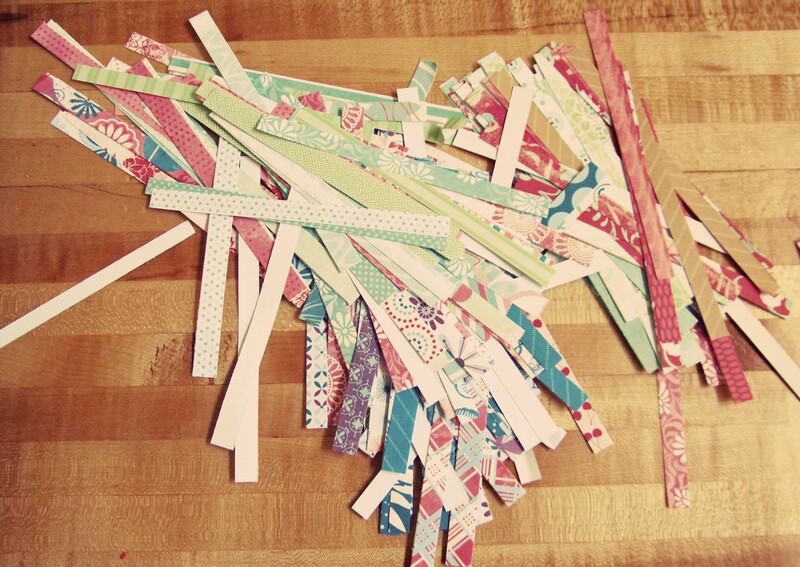 Remember those little strips of paper that you had left over when you cut the bottom box smaller? You can use them for decorating your treasure box. 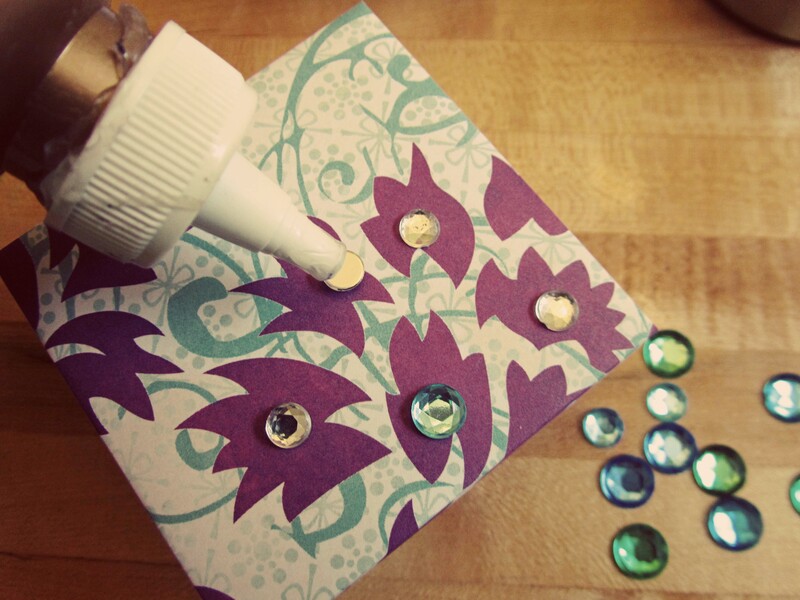 Or you can glue on sequins or add stickers. I hope you enjoy these treasure boxes. 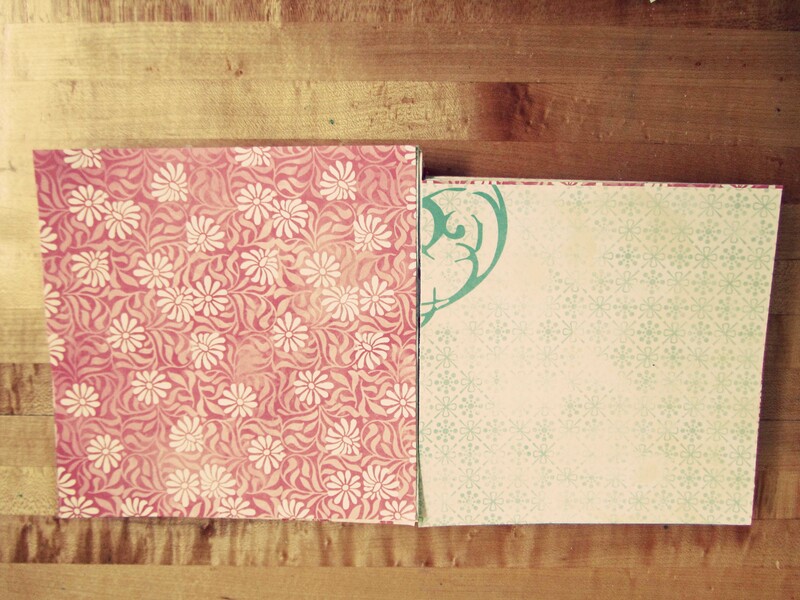 Charlotte from Canada taught me how to make them. 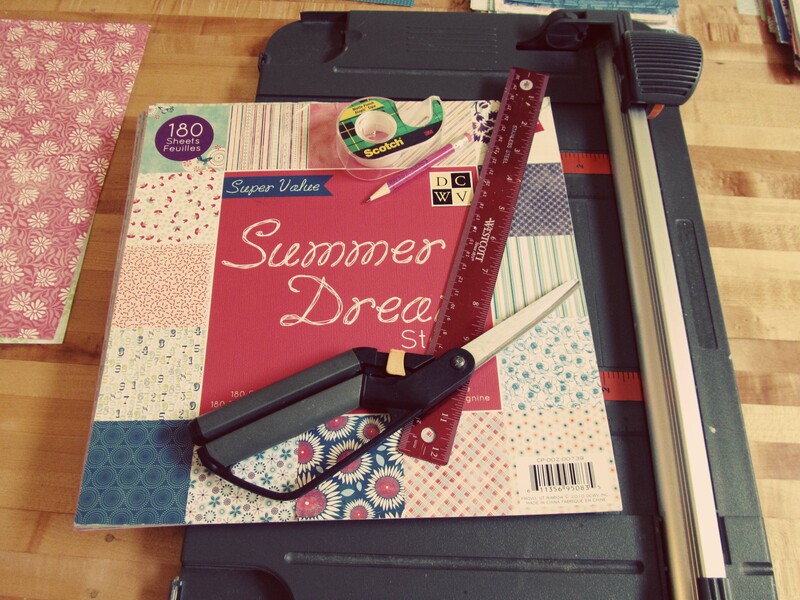 The pre-cut supplies are lightweight enough for travel. If you ever meet her, you can thank her for this treasured box. I enjoyed WATCHING you craft. Why don’t you live next door. 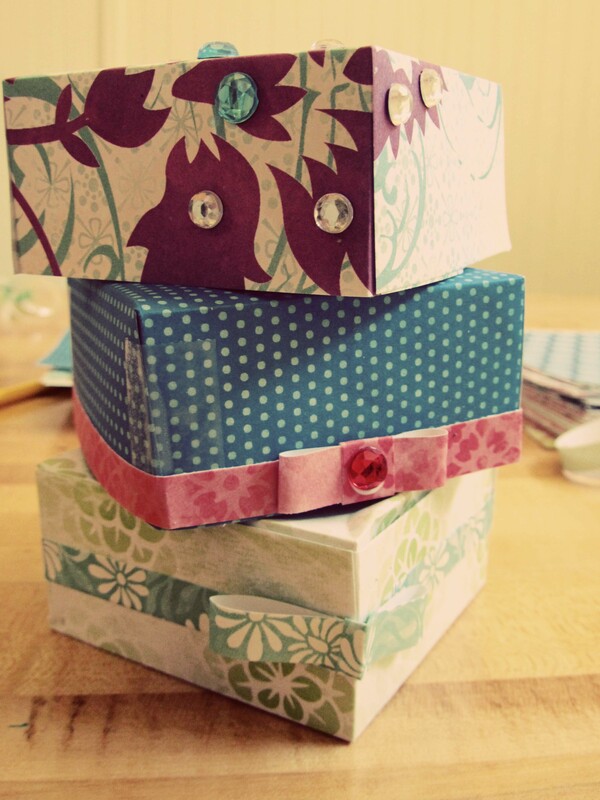 I could pay you to make treasure boxes for me. Alas, I will go to Tuesday morning. But first, another cup of Joe. June 6:24 Hearken unto me now O ye children, and attend to the words of my mouth. Eli and I have an arts and crafts day too!! (Though he mostly wants to eat the supplies) These boxes are awesome-post more stuff, I love it! Showed this to Silas and he wants to make a bunch of these! 🙂 If there is no paper left in the house tomorrow, I’ll know why! If you come up to the MI Family Camp, he will get to make even more. Charlotte’s examples were with plain, bright, colored, paper. Her’s were decorated with stickers. They were really cute and bold.